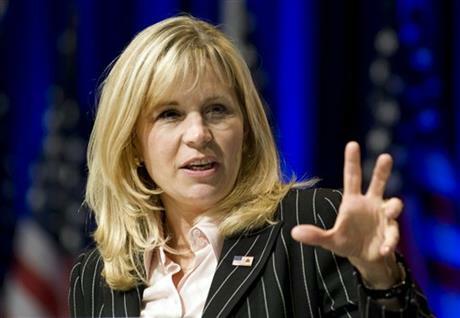 Liz Cheney, eldest daughter of Darth Cheney, has announced she is running for the Senate, taking on another Republican for the nomination. News reports do not answer the questions top in our minds: Does Liz, like her father, lack a beating heart? Does she have a reflection in the mirror? Can she be warded off with garlic? What type of spell is she casting in the picture above?